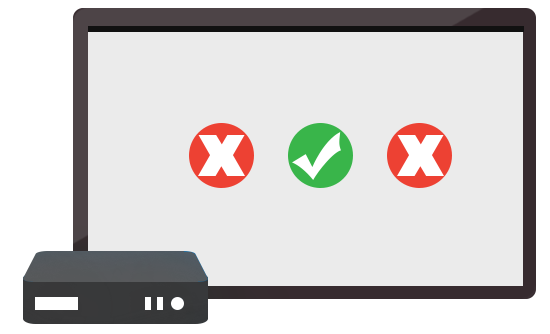 This is a device-agnostic testing platform to validate whether digital signage hardware performance is adequate to support the type of content needed in a particular installation. Follow the instructions on the “Tests” page to simulate hardware/content compatibility prior to actual content delivery and installation. Give yourself peace of mind that the hardware you specify will support the content created for that installation. As an AV professional, you know the complexity and technical demands of your work are increasing. Use this platform to be sure the equipment you specify will support the required content formats and standards. Please email info@DigitalSignageBenchmark.com with any test results, recommendations or questions you may have. Privacy: The Digital Signage Benchmark is a publicly available resource, offered at no cost, for use by any interested party. Reviewers must agree that any submitted results are TO BE CONSIDERED PUBLIC DOMAIN at the time of submission. Reviewers and their results will be validated for accuracy and will be posted anonymously.